Comply with ICAO, DOT, and IATA regulations while alerting people about the hazardous shipment. 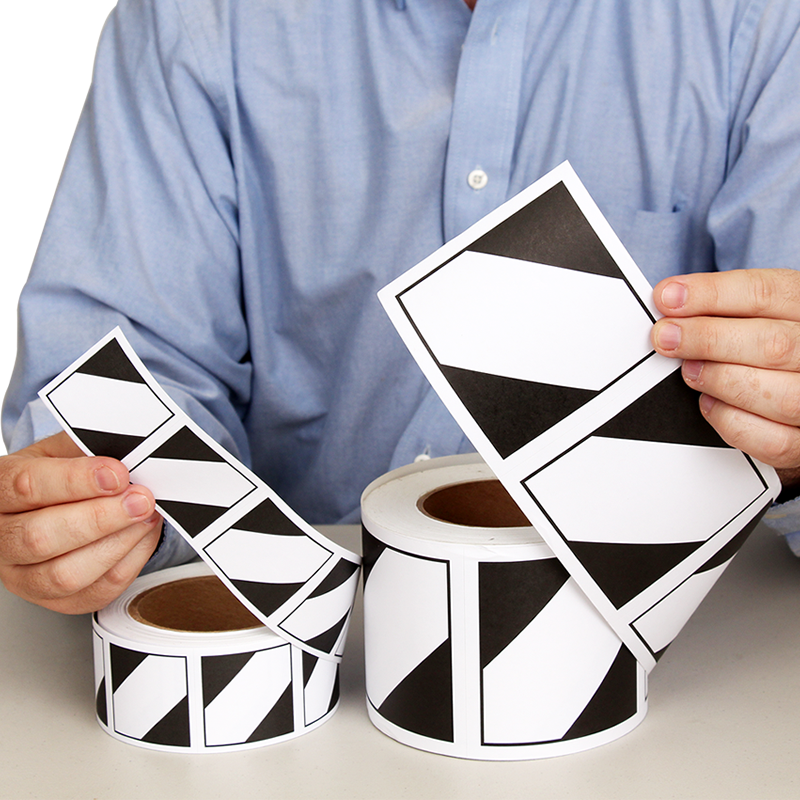 Backed with a strong adhesive that ensures durability. • Measures 2" (51 mm) on each side, and 2.81" (71 mm) from point to point. 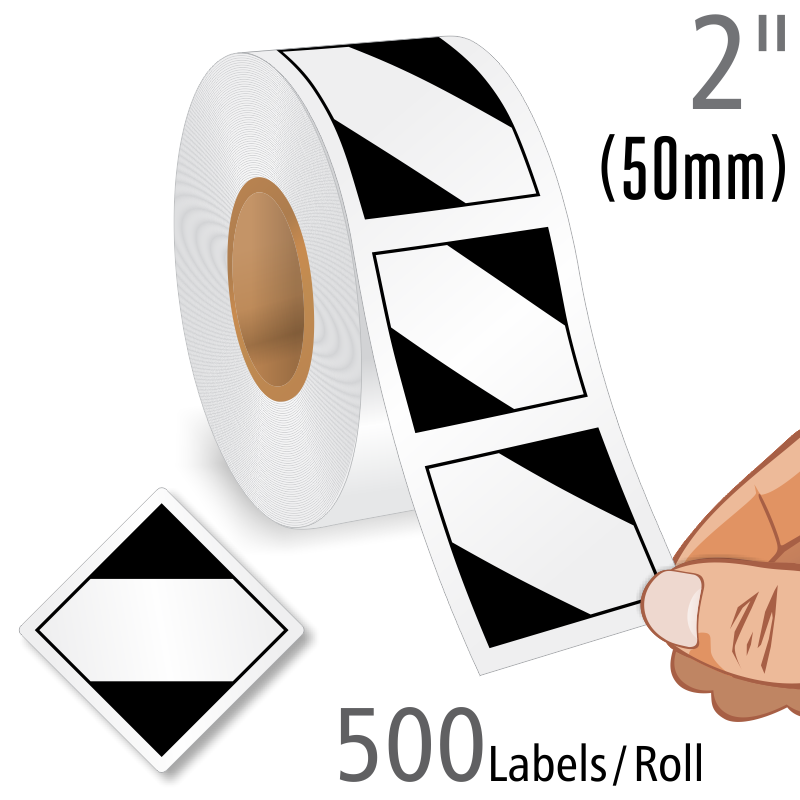 Multiple labels available on each roll. • Made from bright white, 50# (3.5 mil) thick uncoated paper with excellent smudge resistance, this facestock is designed for outstanding quality and high performance printing. 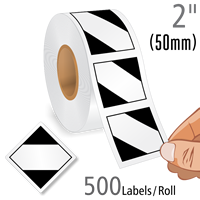 • Labels have a 41# SCK peel-off liner. • Comes with a .7 mil thick cold-temperature acrylic adhesive that adheres to a wide variety of packaging materials, and is ideal for general purpose labeling. • Labels come packaged on a roll.